It’s back to school time, and soon we’ll all be inundated with after-school offerings: soccer, dance lessons, lego club, Mandarin lessons, art club…and the list goes on. I am very fond of programs that happen right at school. No driving, no hassle. The kids go straight from their classrooms to the activity, which means I get an extra hour or two in my day. Bring on the brochures! But wait, what was that? If I’m not going blind, I swear I just read that the tuition for art club is $20 per session per kid. Yikes! Did they resurrect Divinci to teach? Oh, and Mandarin lessons are $25 per one-hour session per kid. Let’s do the math. Two kids x two activities = $90 per week, or $3600 per school year. 6 years of after-school elementary school programs add up to $21,600 for a two-child family. This is stupid. When did after school get so expensive, and wouldn’t that money be better served in the kids college fund? And while we are on the topic of college, art and foreign language aren’t going to get any of our kids into Harvard. Chess clubs, however, are populated with kids that frequently get accepted into the Ivy’s. But that’s another article for another day. There is a simple alternative to all this kid-activity money madness. Kids, learn chess. Without diving into a formal cost-benefit analysis, chess is cheap. And the rewards of learning are nearly infinite. Having kids learn chess doesn’t require transporting your little angel to any location other than your own school, or your own house. The program I ran at my kids school has 25% of the student body staying after school, once every week, for a cost than is less than school-provided childcare. Yes you read that correctly. 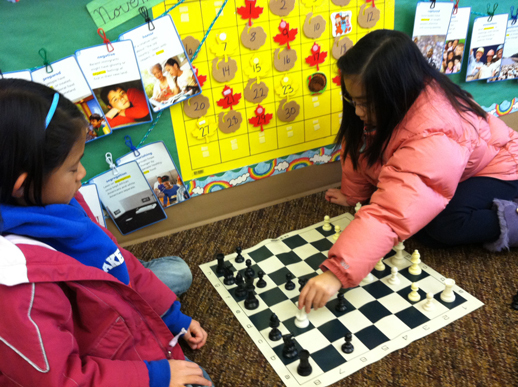 It is cheaper for kids to learn chess after school than go to childcare. Sometimes it’s even free. 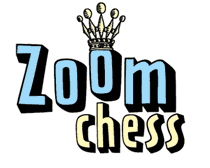 Part 2 of this article is coming soon, where I will tell you exactly how to start a kids chess program right at your school. This entry was posted in Parent as Teacher, Uncategorized. Bookmark the permalink. What I have found is that starting early enough in teaching chess is critical, but there has to be a continuing program of chess in the upper grades, and this doesn’t always happen. In my school district, the LINC organization has come in to an elementary school and run tournaments besides teaching chess after school. And I continue the process in the upper grades through high school with my own program, using the Think LIke A King software to teach chess and establish club ratings. This keeps the students involved and learning. I do lose some throught the year, but it happens because there are other interests in school competing for their attention. As for CXR, it may be good, but it isn’t needed as long as you can establish a way for students to measure their progress against other club members. This can be as easy as starting a club ladder to challenge them. Or if you can do it, the Think Like a King software also tracks win/loss statistics for each player. It’ seem that chess is cheap, but then again the current generation of chess programs is only effective at getting around 4% of the 55 million American school children to play. And most of these drop out of their chess programs between 4th and 5th grade. In this information age we really need 90% of K – 12th student playing.